Hey Everyone! 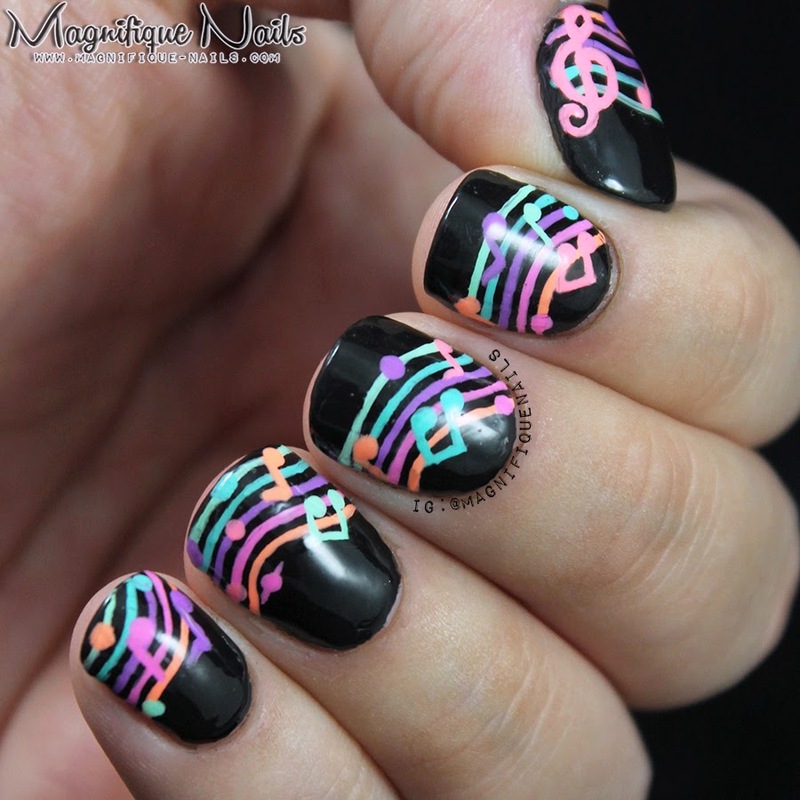 Well it's time for my next Alphabet Nail Art Challenge: N for Notes...well music notes in fact. I did something different and meaningful to me. 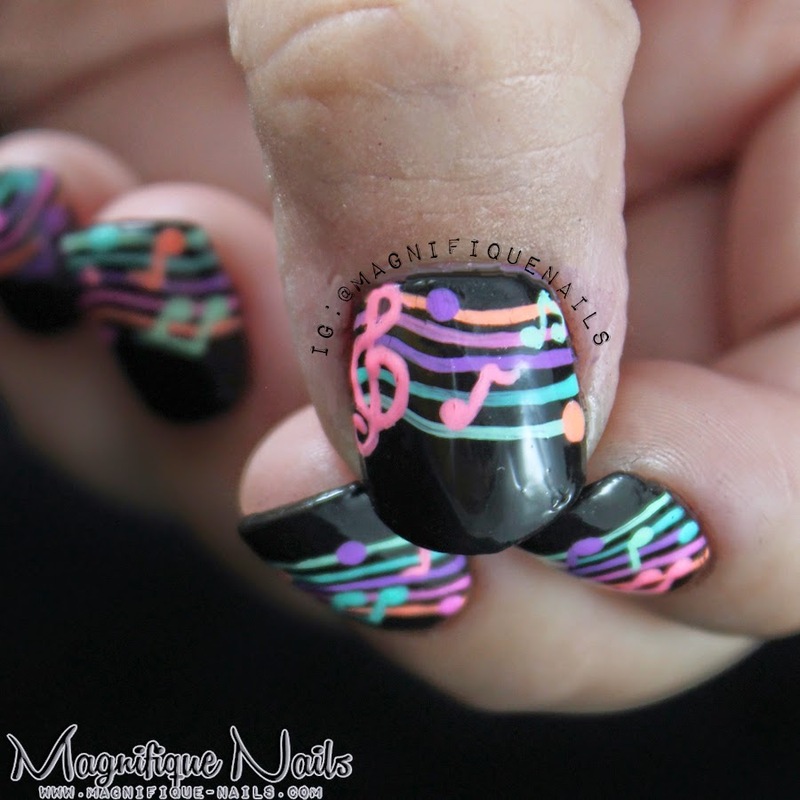 For this theme I wanted to do music notes. One thing many people don't know about me, I play the piano. 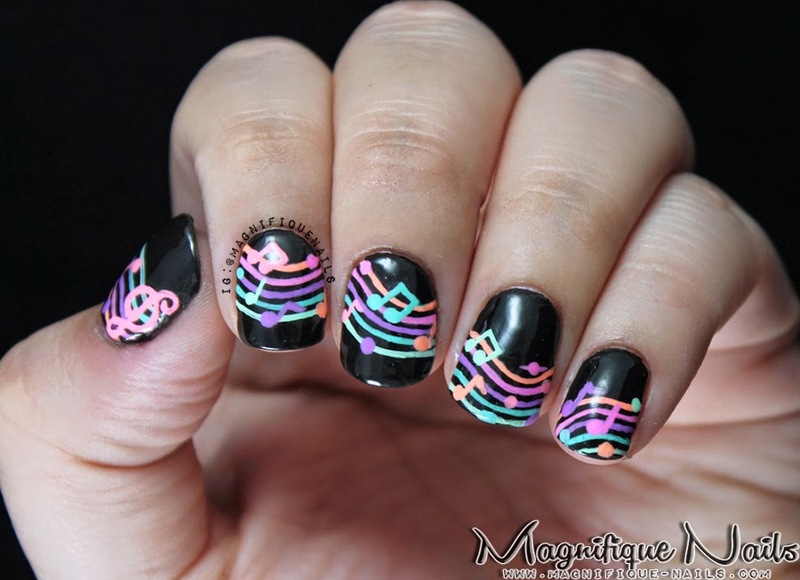 For the lines, I actually whipped out my music note book to see how many they were. I really didn't want to disappoint my piano teacher in-cased she saw these. Luckily, I wanted to use all of the China Glaze's Sensational colors, they are so bright and great for this mani. With a nail art stripping brush I drew the lines more like a wave. Therefore, each nail had a different style. 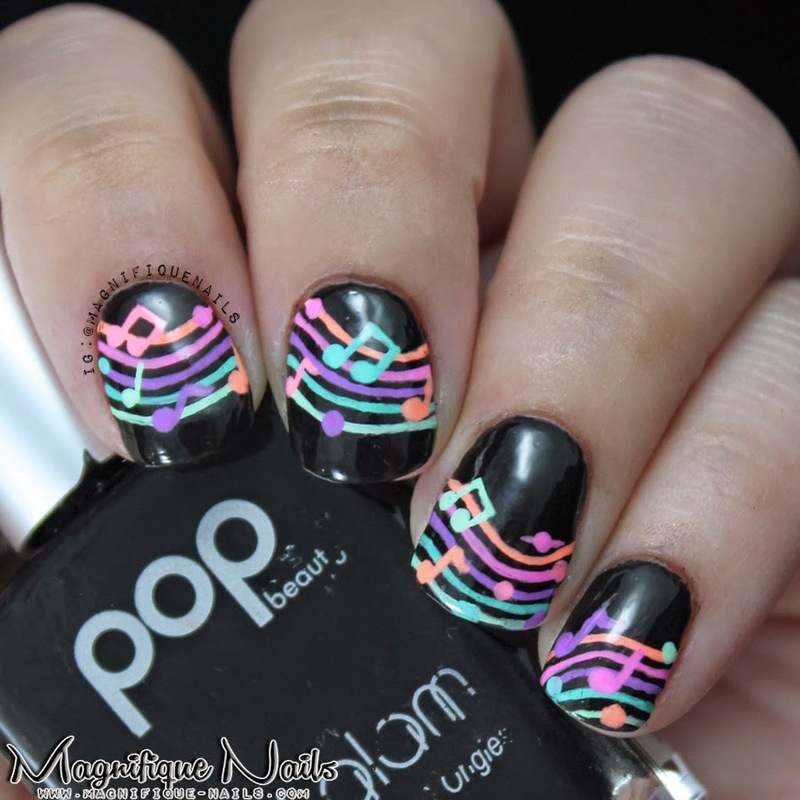 Using a nail art brush and a dotting tool, I added the musical notes on the lines. I used a all of the China Glaze's Sensational colors. I then sealed the design with Duri- Super Fast Dry Through Top Coat. I can honestly say, this design was bringing my musical roots back. I can remember writing and practicing on my music, boy those were the good o'days. This has to be my favorite mani of this year.